We strive to make this day as beneficial as possible for everyone! 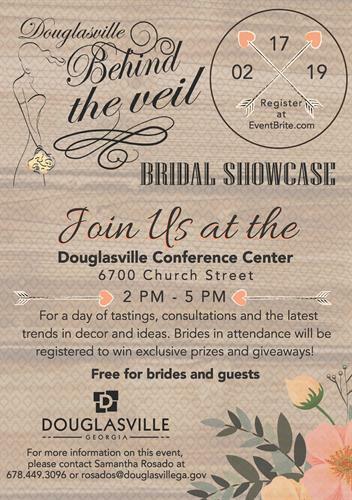 We want to pamper our Brides, as well as showcase the best companies that offer wedding needs and supplies. Please contact us directly with further questions at rosados@douglasvillega.gov.